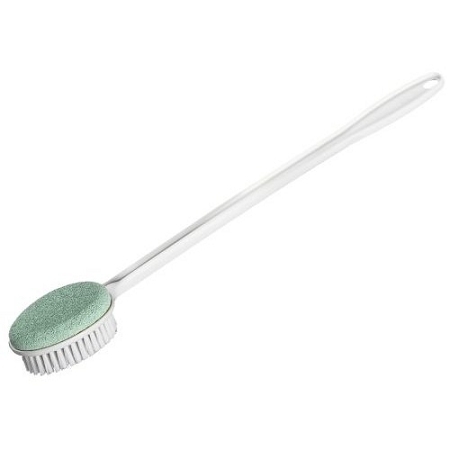 Helping Hand Long Foot Scrub Brush and Pumice has a long, bendable handle to easily reach feet. Scrub brush and pumice with a long, comfortable handle. Long, bendable handle for reaching feet without bending. 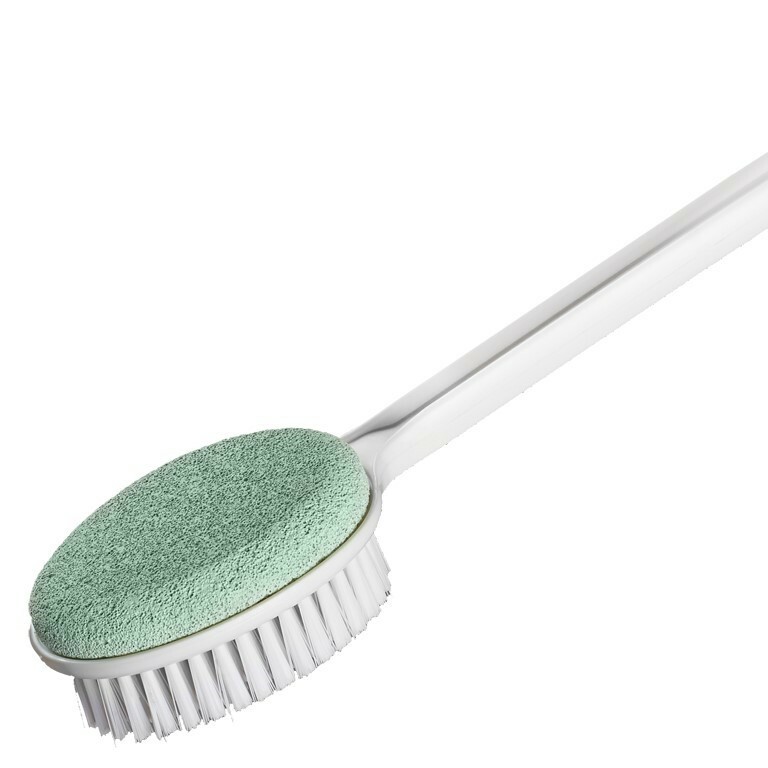 Brush has soft bristles and an attached pumice. The Helping Hand Long Handle Foot Scrub Brush and Pumice has soft bristles and a securely attached pumice stone that are ideal for scrubbing feet without having to bend. People who have trouble bending will find that the long handle makes bathing less difficult. The Foot Scrub Brush and Pumice has a long, comfortable handle that can be bent using warm water or low heat from a hair dryer. 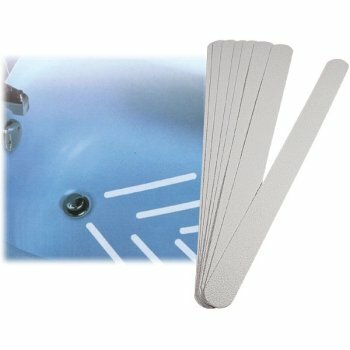 The handle, which is 17.5 inch long, 0.5 inch high, and 0.5 inch wide, enables a secure yet gentle hold for wet or dry hands. The soft bristle brush, which measures 3.5 inches long, 2.5 inches wide, and 0.75 inch high, was designed to eliminate the need to bend to reach feet and is ideal for people who have problems with bending. Overall measures: 21 inches long. Handle measures: 17.5 inch long, 0.5 inch high., 1.0 tapering to 0.5 inch wide. Awfully disappointed. Pumice fell off as I was opening the package. And the pumice chipped off when it hit the bathroom tile floor. I glued it back on with gorilla glue - only to discover that the pumice is smooth - who wants smooth pumice? Brush bristles are not firm. And the handle is so flimsy - it is gonna break, I just know. Again, disappointed with this product.